Odd story here. The Costa Concordia was a major tragedy and continues to be a problem. More bodies lie in the ship, people are missing, families grieve. Once this is all worked out, they'll be riches awaiting. Essentially, Costa Concordia was a floating luxury hotel. And with the super quick departure of over 4,200 people, a lot of things were left behind. The guests had fancy jewels and watches for dining out and the ship itself had shops selling high end jewelry products. Also on board are over 6,000 fine art prints. Who can dive the ship when it's time? 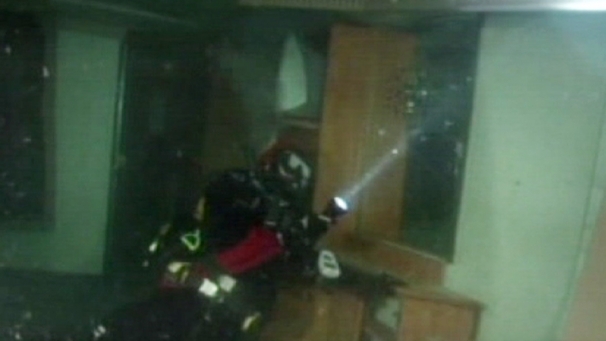 Well after about 7 months, or longer, divers might be allowed to dive the ship, if it's safe. Most passengers will have settled claims with both the cruise ship and their private insurance polices to cover their losses. So once it'd diviable, it's first come, first serve. For now...you'll have to wait. The ship is surrounded 24/7 till the ship is free of bodies and deemed safe.